Binding Off with a crochet hook, using a single crochet. 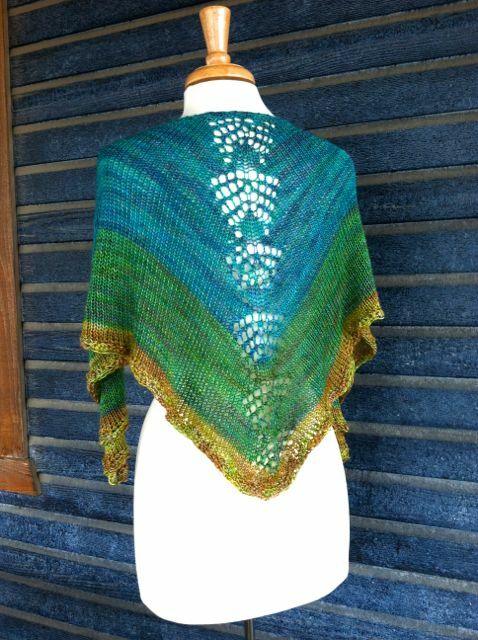 I knit the shawl on US 6 circs then switched up to a 7.00 mm hook. Moving stitch my stich, you insert hook, wrap yarn, pull it through. Wrap yarn again and pull the yarn through the two stitches. 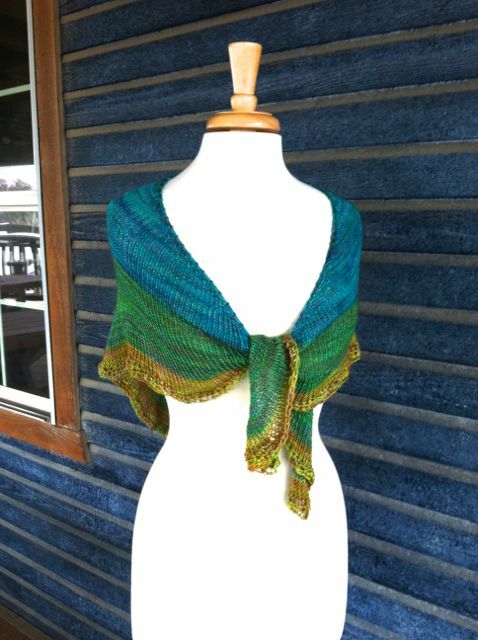 This makes a nice loose bind off that will curl. Don’t fret. Curling can also be cool, but this can be blocked out! Final row I switch up to an 8.00 mm hook. *Chain 1 then SC every other stitch. Repeat from * until last stitch. I am not going further than this but if you are a wild card and have the yarn then do another row or two cool crochet!